The firm is dedicated to helping individuals and small businesses through financial problems with individualized attention to the clients. 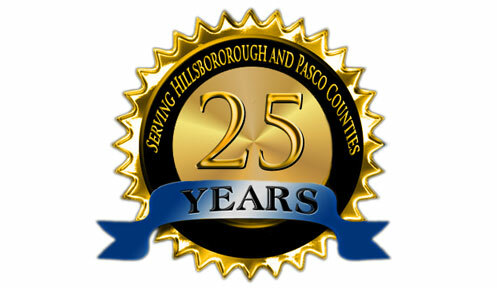 Board Certified Consumer Bankruptcy Attorney serving Hillsborough, Pasco and Polk County, Florida for over 25 years! 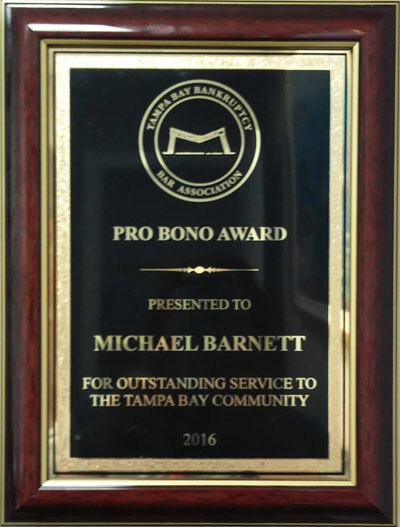 Michael Barnett is a bankruptcy lawyer representing consumers and small businesses in Chapter 7, Chapter 12, and Chapter 13 bankruptcy cases in west central Florida. - There is no charge for initial consultations regarding the filing of a bankruptcy case for the client. - Our office is now able to accept debit cards for payment, and have some appointments (including an initial appointment) via Skype for clients that have difficulty getting to the office. Notice required by BAPCPA: We are a debt relief agency agency. We help people file for bankruptcy relief under the Bankruptcy Code. Nothing on this website should be considered an offer to represent the viewer in any matter. Only Mr. Barnett can determine whether he will take any given case, after reviewing the situation in an appointment with the person. A Kansas bankruptcy court recently ruled on a case where a debtor purchased gift cards prior to filing, in part to avoid a garnishment of funds in his bank account. The debtor then attempted to exempt the cards under a Kansas exemption for household goods, asserting that the cards can only be used to purchase household goods. The court denied the request, finding that the cards are in the nature of cash, which, in Kansas, had a more limited exemption. While Florida does not separate out exemptions for cash from household goods, there still could be a risk of running afoul of 11 U.S.C. 727(a)(2)(A) which can deny the bankruptcy discharge for transferring property in an attempt to hinder or delay creditors. Attempting to 'plan' for a bankruptcy without experienced, professional help can be dangerous. It is almost always safer to hire competent counsel to assist in this important procedure. No money down scam! Don't be scammed by your own attorney. A number of bankruptcy firms are now advertising no money down chapter 7 or 13 cases. Often, later in the website the fine print, or print that is designed to be nearly impossible to read, will say all fees must be paid prior to filing. What fees if there is no money down? Either they are trying to mislead you before you hire them, or they are requiring more money, often much more than we charge for a whole case, to be paid after the case is filed. Some even sell this debt to debt collectors as soon as the case is filed. Do you really want to be harassed for debts again as soon as the case is over? In almost all cases you only need to pay $100 to hire us, then can refer most creditors to our office, giving you time to pay a reasonable fee for the bankruptcy over time. For chapter 13 cases, we can often take our entire fee through the payments to the bankruptcy trustee. Don't fall for scams by less than honest attorneys, hire someone who you can trust to look out for your best interests. Beware of attorneys quoting a 'firm' price on the phone then giving different prices at the appointments. According to a recent report, the median attorney fee charged for a chapter 7 case is $1,500. Despite the fact that I have been board certified since 1993, longer than most of these attorney have been practicing, I try to keep our standard fee around here if there are not unusual problems, but the fee can be higher or lower depending on the potential problems and how quicking the case has to be filed, and whether there would be more problems in waiting. The fee can be paid over time, but we need it before the case can be filed. In the meantime clients can refer creditors to our office. I always try to work with the client's to find something that works for them. I cannot give firm prices without an appointment as I take much longer to go over the situation and explain the options to clients than most other attorneys. 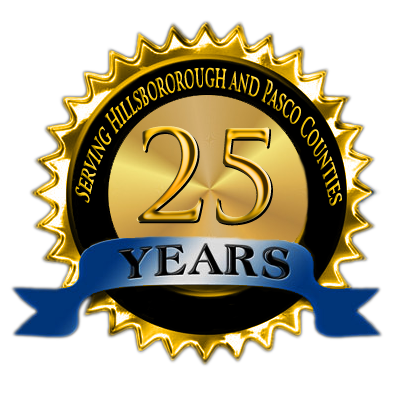 Michael Barnett has provided his services in and around Tampa, Florida covering Hillsborough, Pasco and Polk County for over 25 years. 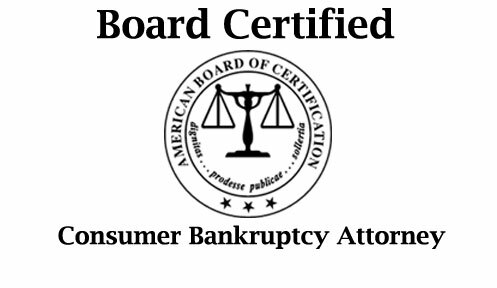 In order to become board certified, an attorney must have been engaged in the full-time practice of law for five years, and had substantial involvement in bankruptcy law for the three years prior to certification. Further, references must be obtained and a written examination passed. Finally, the attorney is required to take 60 hours of continuing education each 3 year period for certification, which is double the continuing education required by the Florida Bar. 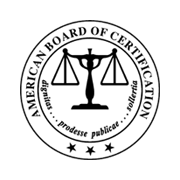 For more information, see the American Board of Certification's homepage. Michael Barnett obtained a Bachelor of Arts degree at Furman University, and the law degree at University of Florida in 1985. He was admitted to the Florida Bar in October 1985. After becoming a partner at the law firm of Isaak & Barnett, he opened his own firm in 1992 and has practiced as a single lawyer firm since then. He is admitted to the Florida Bar and the US District Court for the Middle District of Florida. 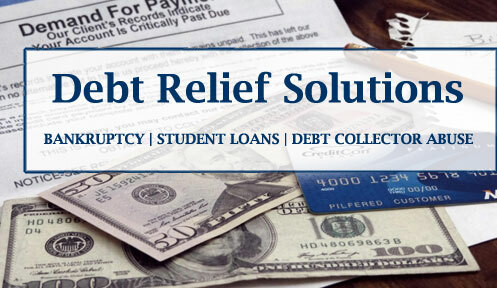 Mr. Barnett will handle Chapter 7 bankruptcy liquidation cases for individuals and corporations, Chapter 13 bankruptcy debt repayment plans for individuals and small unincorporated businesses, and Chapter 12 bankruptcy farm repayment plans for individuals and small businesses. He is also one of the few local consumer attorneys that handle bankruptcy appeals. Michael Barnett has briefed and argued bankruptcy appeal cases up to the 11th circuit court of appeals. Mr. Barnett's analysis of the 2005 bankruptcy law has been linked by the primary national bankruptcy website, Abiworld, the American Bankruptcy Institute and he is a contributing author to Strategies for Consumer Bankruptcy Appeals found on Amazon and Thomson Reuters. Mr. Barnett has prepared a free analysis of the 2005 bankruptcy law and cases interpreting it. This analysis is designed primarily for other attorneys or legal professionals rather than clients or potential clients. However, his expertise in this field will enable him to give a more accurate an analysis of the client's situation. Be aware there are many companies advertising, both for personal injury and now Tampa bankruptcy lawyers, which are only referral services. Almost all of these have minimal or no qualification requirements for the consumer bankruptcy attorneys, but simply charge the attorneys to refer cases to them. There are also national law firms that have recently expanded to the Tampa Bay area and hired local attorneys with limited experience who are filing huge numbers of Chapter 7 bankruptcy cases and Chapter 13 bankruptcy cases. Be sure to determine the qualifications of the attorney actually representing you in the bankruptcy court before you have any attorney represent you. ABC News Report: The Federal Trade Commission says it has NEVER seen a Legitimate For Profit Credit Repair Company. A report out from the National Consumer Law Center warns of scam artists targeting homeowners in foreclosure. Scams may involve someone charging fees for trying to work with the mortgage company to avoid foreclosure, and never carrying through; or purchasing the home from the owner and claiming to allow the owner to live there with reduced rent (which does not stop the foreclosure and the owner is kicked out anyway); or signing documents purporting to refinance the house that actually transfers ownership to the scam artist.